12 holes in a really beautiful area right next to the Vulkan Therme hot springs and sauna. The Vulkan Therme parking lot is near the 1st tee. 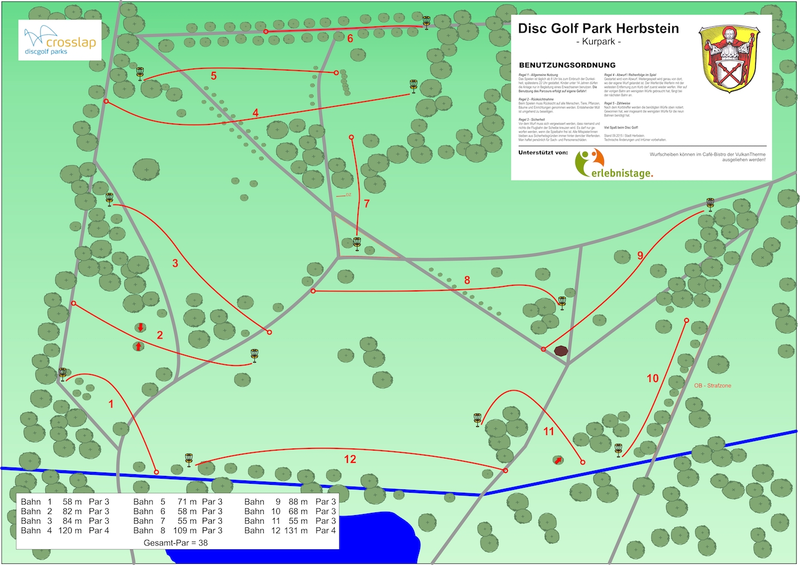 Have you played at Discgolfpark Herbstein? Be the first person to review this course!